Following are the 10 best and reliable services that offer free cloud storage along with the option of syncing your files from computer and/or mobile phones. Dropbox provides integration on Windows, Linux, Mac, Mobile Phones (including a great little iPhone app and web interface), as well as convenient Firefox and Google Chrome extensions. 1. 2GB of Dropbox for free, with subscriptions up to 100GB available. 2. Your files are always available from the secure Dropbox website. 3. Dropbox works with Windows, Mac, Linux, iPad, iPhone, Android and BlackBerry. 4. Works even when offline. You always have your files, whether or not you have a connection. 5. Dropbox transfers just the parts of a file that change (not the whole thing). 6. Manually set bandwidth limits -- Dropbox won't hog your connection. Ubuntu one works on Ubuntu, Windows as well as Mobile Phones. Supports multiple languages and offers 5GB of free storage capacity for the Basic version. SugarSync offers 5 GB free cloud storage, and if your friend uses your referral link to sign up, you’ll earn a 500 MB bonus, up to 5 GB. 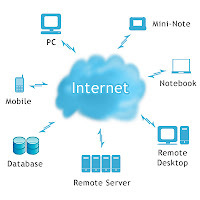 SugarSync supports Windows and Mac computers, as well as iPads, iPhones, BlackBerry, Android, Windows Mobile and Symbian mobile phones. Windows Live SkyDrive offers 25GB of free online storage. You can use SkyDrive storage to back up your files online for free, or to share large files with others. SkyDrive also gives you access to free Office Web Apps like Word, Excel, and PowerPoint so you can create, share and work online with others. 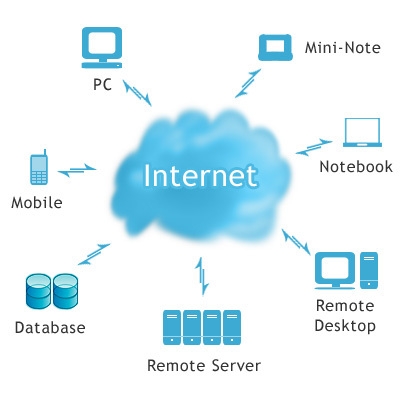 With SkyDrive you can also create Word, Excel, and PowerPoint documents, even without having Microsoft Office installed. 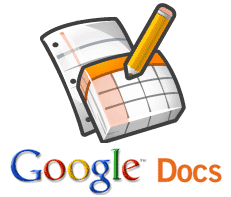 Google Docs have added the ability to upload any type of file. Their upload filesize limit is 1GB and you get 1GB of storage for free. Along with Google Docs you also have your Gmail and Picasa storage (7GB and 1GB respectively), summing up to 9GB of free storage. Google does have plans for purchase as well, if you need more space, with a yearly pricing scheme (starting at just $0.25 per GB). And if its Google, its trustworthy for sure. Box offers some great features and compatibility options. Their free plan gives you 5GB of storage (25mb filesize limit) and there’s no shell integration (great web interface though), but they integrate with Google and Zoho and have a decent mobile app for the iPhone. Box supports Windows, Linux, Mac, Mobile phones, plus it also has various other features that can be viewed on its official website. ZumoDrive offers 2 GB free storage, supports multiple languages, and works for Windows, Mac and Linux computers, as well as iPhone, Android, and Palm Pre mobile phones. TeamDrive offers 2 GB free space, and you can get 250 MB more by inviting every one user, the total free storage can be up to 8 GB. TeamDrive supports Windows, Mac and Linux. IDrive offers 5 GB storage, supports multiple languages, and works for Mac, Windows and iPhone as well as Android support. SpiderOak service offers 2 GB free storage. It supports Windows, Mac, Linux, Android and iPhone/iPad. If your friend uses your referral link to register on spideroak, you'll earn free storage space upto 50GB. dropbox is the best of all..
my preference goes for google docs, as its a google product.my preference goes for google docs, as its a google product.